“Many men now want their wives to work for the paycheck they bring home so they can buy more stuff.” This is a comment I made on my post The Backlash of Women in the Workforce. Here are a few men’s comments to this. Needless to say, all that I’ve cited above describes most “Christian” marriages and families every bit as much as secular ones. Did it not apply, we would see a STARK difference in the typical Christian family dynamics rather than the typical dysfunction that makes most “Christian” marriages and families completely indistinguishable from their secular counterparts. Many women do not appear to understand how it encourages a man to have to go and support a wife and children. Tens of millions of men married poor, and the love they developed in marriage, and for their wife and children inspired them to work and achieve far greater than they otherwise would have. When women go to work, it emasculates the man. When he’s no longer the provider and protector, he often gets in trouble. Where there is no love in a marriage, there will be love outside of it. The lack of faith, in God to provide, is a huge fault, too. So many women and men have the familiar refrain, “We can’t afford children.” Actually, anyone who understands history understands a nation can’t afford not to have children. We are in the richest nation on earth, and the majority opinion is women can’t afford to have children. Something is seriously wrong with people’s priorities. These same people can afford to watch television and waste time doing that, can afford to take vacations, can afford luxury homes and cars, can afford expensive Christmas gifts, can afford to pamper themselves, and can afford to drink prodigious amounts of alcohol. But, when it comes to kids, “We can’t afford much kids.” Tragic miscarriage of a divine purpose for selfish and faithless reasons. Exactly! The feminist movement taught men to be more feminized, and view a traditional woman as a leech rather than a dutiful wife! Where are all the traditional men who want to protect and provide, and let their wives be wives??? Where are all the traditional men who want to protect and provide, and let their wives be wives??? I would add one more reason: When spouses divorce, a stay-at-home mother can usually count on primary custody of the children, alimony, and child support, making it more of a risk for men to have stay-at-home wives. Is this a Godly calculation? No, but it is eminently understandable, given the high divorce rate in our culture and given that most divorces are initiated by women. Our culture is doing everything to destroy the institution of marriage including it’s divorce laws which greatly help the women and greatly harm the men. As believers in Jesus Christ, we need to do everything we can to show the culture around us what a life-long marriage looks like and cheerfully welcome children into our lives. Mothers need to stay home and raise their own children in the wisdom and the knowledge of the LORD. This is how we can impact culture around us the most. I completely agree! My husband would work three jobs before he would allow me to spend one hour “in the working world.” My role has always been and always will be to stay home and raise my babies. My husband takes great pride in taking complete care of me and our family. My mom never worked and I was raised from a young age to be a stay at home wife and mother. I firmly believe that is what God intended for us to do as wives and mothers. Through my willingness to submit and obey (which was a whole other trip), God took my husband from a rebellious high-school dropout to, well, … a very VERY successful leader in the manufacturing world. I’m so proud of the work we’ve done for the Kingdom through God’s power and my husband’s leadership. … like looking in a mirror. My husband chose to stop going to church(es) (hear this …. ) ** to protect me and our daughters. ** It’s not really about whether to meet in community at 10am on sundays (that’s not the purpose of my comment). It’s that in a Christian espousing community, you shouldn’t need ‘protection’ FROM the community(ies) because you are a submissive wife or that you’ve raised your daughters to be stay@homes. And thus far, D, hasn’t found any men that have stay@home wives. I’m not saying they’re not out there; we’ve just not found any so far with the trajectory the Lord has us on, but we’re hopeful! 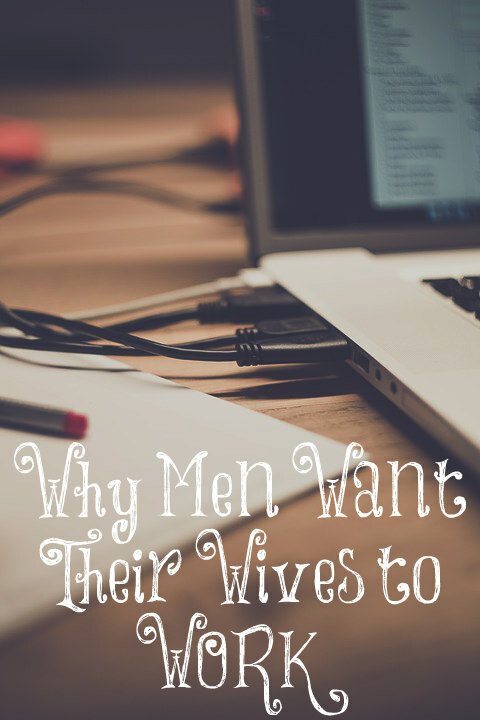 It’s because the men lack faith, are fearful, or are selfish, that’s why they want their wife to work. I’m 39, and I never dreamed of pursuing a woman for marriage who wanted to work. As soon as I found out she believed in birth control and had an allergy to be a stay at home mother, which is 90% of the women in my state, the People’s Republic of California who are marriageable and attractive, I lost interest in marriage and a relationship completely. Thank you for posting my comment. It was true 1,000 years ago, it is true today, and it will be true 1,000 years from now. And America needs many more Godly older women who are able and willing to instruct younger women in the Godly ways that will bring them joy and prosperity when they are young, old, and when they have left this life as well. I wouldn’t have married a man who wanted me to work outside of the home and leave my babies with others. I wanted a man who worked hard and provided for his family. I pray you find a godly wife. I know there are some out there for there will always be a remnant. We need godly men and women to marry and raise godly offspring but as the days grow darker and more wicked and the Church continues to compromise with the world, yes, it will be harder to find but they are there. I know there are many who read my blog! Part of the problem is that women like you and my mother are in short supply today in the younger generation, due to the reasons you listed above. Thank you kindly, Lori. The marriage that you and Ken have is one that every marriage in America can profit from. God’s timing is always perfect, and I find it quite fascinating how when he does bring along the Godly desires of one’s heart, one forgets all about the trials and hardships that preceded it, quite often. It’s kind of like when a woman has a child. The intense pain of delivery and the pregnancy is forgotten soon after the child has arrived and is greeted passionately and rapturously by the mother. I’m a half-decade younger than you, so of similar cultural experiences. What you have written here rings true in the ‘Bible Belt’ as well. There is a severe drought in the Church of women who are not quarrelsome, relish children, eager to submit to a husband’s authority, have taken care of their bodies and finances, roaring to make a house a home. It is a reminder to me the truth of Prov 31:10. There is a silver lining with contrast to be made. As bad as things are in the Church with wayward men and career-minded women, I wouldn’t even dream of looking into the World for potential mates. It’s Sodom and Gomorrah out there right now. As men, we can only keep focused on God’s purpose for our lives and make the most of the gifts (ref: Ma 24-25) He has given us. Strong stewardship of that with which we have been entrusted. I suppose this goes equally for women awaiting their husbands. There are quite a few young ladies in our church family who would love to meet a Christian man who share these values. Maybe a move to a rural conservative area would be something to pray about? I am very sure that a good courtship-minded church would help – many happy marriages have come from parents meeting a suitable prospective spouse for their son or daughter through good Christian fellowship with young men who are ready to take that step. Another good thing is that in rural areas there are not daycares or jobs like women can get other places. My father never wanted my mother to work and my mother didn’t really want to be stuck with us all day. They both were not really practising Christians at the time, so their choices were more for selfish interests. My father though far from perfect (who isn’t? ), was financially buoyant when I was growing up, but my mother was never submissive to him. When I was 21, he left my mom (separated, not divorced) and married someone else. He left his other wife and returned to my mom after 4 years when things went south for him. I feel all this won’t be happening if only she submitted to my father! Many men are definitely brainwashed to think stay at home mothers are freeloaders. Even ones whose own mothers stayed home! If you have been on college campuses, liberal or conservative, you will see this attitude from the young men. It is sad since there are many young women who are willing to stay home once they have children, but the men they are dating find that a “red flag” that the woman must be a “gold digger.” I would encourage young women to simply stay away from these men, unless you really feel his heart will change. Otherwise he might resent you for staying home and you will have contention from the start of your marriage. Thank you for posting this article Lori. It is so encouraging to read your words. I am a 24 year old lady really striving to do what God said in the Bible. It has not been an easy journey but God has transformed my mind from the feminist brainwashing that I was so bogged down with from school, the family, and the media. Your words are so healing and encouraging to embrace my femininity and walk in God’s truth. I am praying for a Godly husband to build a family with. God has been prepairing my heart and desire for a biblical marriage. Thankfully through His providence He stopped me from going to college and protected me from youthful mistakes. I can proudly say I’m a virgin with no debt, no tattoos, know how to cook/clean/sew, and love Jesus (like your previous article). I am slim and work hard to keep up a feminine appearance and fill my mid with wisdom. I am FAR (so very far) from perfect but growing and learning everyday. You are a true blessing in my life. Thank you for your hard work. You give us young ladies in America hope. You’re welcome, Nicole! You will be a blessing to some man one day. Hi, I’m an 18yr old Nigerian man,an only child, from Imo state specifically, your comment sums up my parents marriage though not exactly. Although, God’s grace found me and now I’m really researching the much I can to prepare for marriage. I know I’m not supposed to meddle in my parents’ marriage, I REALLY WHSH I COULD TELL MY MUM THIS…ie that she should submit to my father because l feel we all are now suffering the consequences, even though I can vouch that my father is loving and caring to the core even thougg he is not so Christian. PLS KEEP UP THE GOOD WORK Mrs. Lori, YOU DONT KNOW JUST HOW MANY LIVES YOU HAVE TOUCHED! Where are the non feminist women for young men to marry? It is hard to be a young man looking for a wife in this culture. The number of men TRULY brainwashed is not as high as many like to think. There is a difference between a stay at home wife and mother and a homemaker. Unfortunately, many women who stay at home take advantage of the situation and use it to be lazy. They eat what they want, watch lots of tv like “The View” and soap operas, and bear no children. They are not learning home making skills. 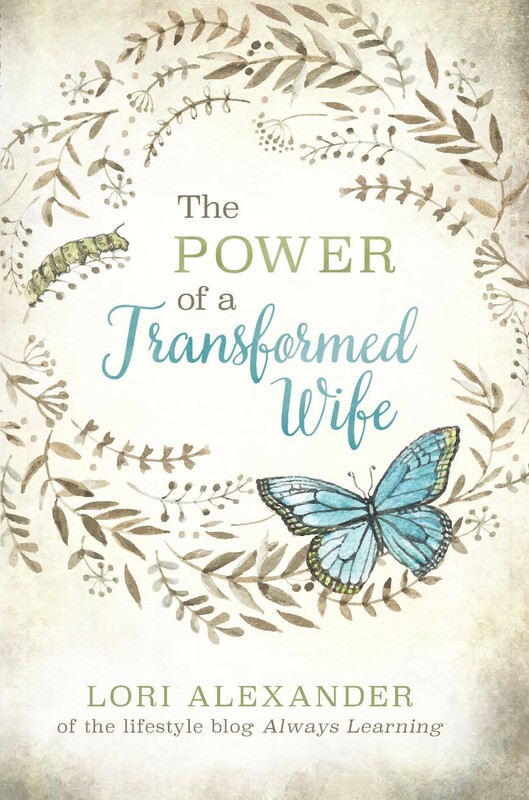 Since the laws are stacked against men, if he tries to enforce his authority (and there are more than people think), they will be beaten down by their wives, friends of the wife, and heck, even by clergy and older married men. I’ve seen it happen and I hear other’s testimony about it in “traditional” churches. Many women claim to want to a traditional stay at home set up and lie to the young men they court/marry and find out they are just lazy women who take advantage of a man’s “charity”. Only the women who truly wish to be real traditional and marriage minded home makers should be considered as suitable wives. It is not a man’s job to be a homemaker. If the wife is incapacitated, temporary relief can be acceptable. I don’t blame some men if they are wary about some women who wish to be a “Stay at home wife/mother”.